Lower Back Pain...Should You Use Ice or Heat? 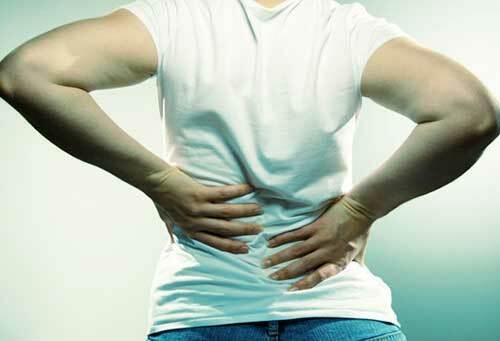 Hundreds of millions of people worldwide are plagued by lower back pain (lumbago). About 80% of people experience it at some point in their lives, and is very common in the aging population. There are more than 30 kinds of low back pain. In fact, there's a type of back pain caused by a rupture of blood vessel. This can be very dangerous and may lead to sudden death. In this article, we'll introduce to you some various measures that you can apply to deal with different types of low back pain. What is the Dangerous Type of Low Back Pain? First, let's talk about the dangerous type of lower back pain, which can be life-threatening. This is rare, but there are cases when it happens. The dangerous type of low back pain is caused by Abdominal Aortic Aneurysm. 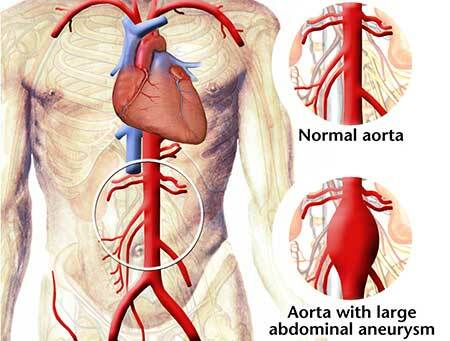 Aneurysm is a severe enlargement of an artery resulting from a weakening of the artery wall. This commonly develops along the main artery of the body, which is called the aorta. When this enlarged blood vessel begins to leak or had ruptured, severe pain will occur along the ruptured area. If the ruptured blood vessel is located in the abdomen, then sudden severe abdominal or low back pain will occur. This is a medical emergency, and if left untreated, it can lead to unconsciousness and even death. My Back Hurts! Should I Apply Ice? Or Heat? In many cases, lower back pain is not that serious but you may always want to alleviate the pain when it occurs. The first solution that comes to mind when you think of low back pain is to either apply ice or heat. But what is the best solution? Is it heat? Ice? Or both? First of all, you should find out what's causing the lower back pain. Low back pain that occurs suddenly (acute) is caused either by a traumatic injury or improper posture (like when picking up heavy objects). Symptoms of acute lower back pain are short-lived and will usually disappear in less than 1 month. Symptoms for sub-acute cases can last up to 3 months. On the other hand, symptoms of chronic lower back pain can persist beyond 3 months. Although this can be caused by a mechanical injury, it is usually caused by a degenerative condition. Sometimes the cause is unknown. When There Is an Inflammation, Apply Ice! 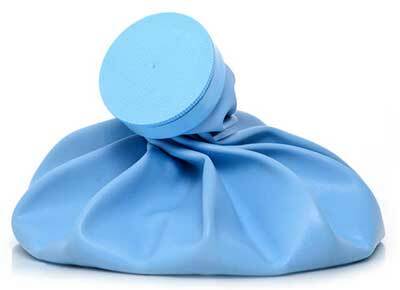 The good rule of thumb is that if an area is swollen or if it is an injury that just occurred, use ice. This is the same first aid you use when you have a sprained ankle. The idea behind this is that the cold shrinks the blood vessels in the affected area, preventing too much blood from flowing to the injured site. It can also interrupt the nerve impulses, numbing the area. Remember not to apply ice directly to your skin. Always cover it with a cloth or towel. When to Apply Heat for Low Back Pain? When there is no inflammation or once the inflammation has dissipated after using ice, apply heat treatment for lower back pain. The heat helps the muscles relax. It opens up the blood vessels and encourages blood circulation. In the end, this promotes better healing. The heat also helps relieve pain by stimulating the nerves. What about Medicated Cold Patch or Heat Patch for Lower Back Pain? According to a Japanese specialist, in reference to Japan's "2012 Clinical Practice Guidelines for Low Back Pain", you may use either a heat or cold patch for low back pain. 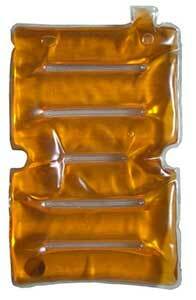 Medicated heat patches contain active ingredients such as capsaicin. Capsaicin is a compound that is responsible for the hotness of hot peppers. On the contrary, cold patches contain active ingredients such as menthol. This gives the cool feeling to relieve pain. That is, these patches do not literally warm up or cool the body in the first place. They give the sensation of "feeling" cool or warm alongside with other analgesic or anti-inflammatory ingredients to relieve the pain. You can use either a cold patch or a heat patch depending on what feels more comfortable for you. Stand straight and avoid leaning forward or leaning back. Do not clench your fists while walking. This can raise your blood pressure. Walk at least more than 15 minutes every day. For acute lower back pain, engaging in physical activity within of course the limits of pain will help speed up the recovery. Light exercises help drive away stress and improve blood circulation. Some people find that biking help them feel comfortable with certain back pain. However, depending on the type and intensity of back pain, some exercises may not be advisable for you. Remember to always ask your doctor before doing exercise for low back pain. Can the PYRO-ENERGEN Electrostatic Therapy Machine Help Lower Back Pain? Low back pain that is NOT caused by an accident or injury is curable by the PYRO-ENERGEN therapy, especially those that have unknown cause. Before you undergo other treatments, we suggest that you try the PYRO-ENERGEN therapy. You may be the lucky one.